This American Professionals Health Insurance Company Review explores American Professionals Health Insurance Company, a wholly owned subsidiary of Highlands Insurance Company, in receivership. According to documents submitted by the Special Deputy Receiver, three subsidiaries owned by Highlands Insurance Company—Statesman Insurance Company (SIC), American Professionals Insurance Company (APIC), and State Capital Insurance Company (SCIC)—have assets of approximately $5 million dollars. If you haven’t compared health insurance rates in a year or two, you may not have noticed how much your current health insurance costs have increased. It is easy to compare your current health insurance rates with health insurance quotes from other health insurance companies. Submit your home zip code to start the flow of health insurance quotes to save you money! The assets of the companies are expected to be applied to the estate of Highlands as the liquidation process continues. None of the companies, including American Professionals Insurance Company, is currently underwriting insurance policies. According to receivership documents, American Professionals Insurance Company was incorporated in New Jersey in 1955. The company had executive offices in Trenton, New Jersey and wrote fire & casualty and health insurance policies to a variety of customers. The company was previously licensed to sell insurance in 23 states. The special receiver has domiciled American Professionals Insurance Company in Indiana. Contact the company’s former headquarters line at 609-896-1921 to reach Prime Tempus, Inc., the Special Deputy Receiver’s office. As a wholly owned company of the Highlands Insurance Company, the assets and liabilities of APIC are part of the liquidation of Highlands in the United States and the United Kingdom. A review of the Special Deputy Receiver’s documents shows that Highlands Insurance’s liabilities far exceed financial assets. Policyholders of American Professionals Health Insurance Company are bound by terms and conditions described by the Special Deputy Receiver. If you are a policyholder of the company, or if you, as an insurance agency, previously wrote insurance for American Professionals Insurance Company, you must work with the Special Deputy Receiver. Each person for whom you as an agent wrote APIC insurance must be included in paperwork filed with the SDR. 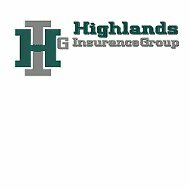 If you are a policyholder and want to file a claim against Highlands or its American Professionals Insurance Company subsidiary, refer to the SDR website for information about how to make a claim against the estate of Highlands Insurance Company. All subsidiary companies of Highlands Insurance Company are included in the estate of the parent company in the United States and the United Kingdom. Fidelity & surety (including bail) bonds. Many people ask about the particulars of receivership, because insurance companies cannot voluntarily declare a bankrupt condition. Insurance companies are jointly overseen by state and federal government regulatory agencies. If an insurance company cannot pay policyholder and creditor claims with current financial assets, the company enters into receivership condition by court order. A Special Deputy Receiver is appointed to oversee the liquidation of company assets, and to protect the interest of creditors and claimants. The court details the process according to state laws and regulations. In some situations, the court may decide to “rehabilitate” an insurance company. Though the company continues to operate on some level, it is placed in receivership. The Special Deputy Receiver develops a rehabilitation plan and provides communications to policyholders and claimants about the company’s progress. Outstanding claims with the Highlands Insurance Company or American Professionals Insurance Company must be submitted by Proof of Claim (POC). Filing claims against an insurance company in receivership is a complex process. If you have outstanding claims or POCs in process, an attorney representing your interests is the best way to proceed. Saving money on health insurance rates is on everyone’s mind. If you or your business wants to pay less for health insurance, request fast health insurance quotes from competitive health insurance companies by typing your zip code into our 100% online comparison tool!